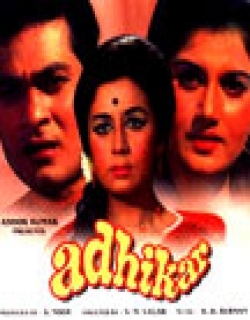 Adhikar is a 1971 Indian Bollywood social, musical, family drama film released on Jan 01, 1971. The film is directed by S. M. Sagar, produced by Noor. Matrimony is such a holy tie that two different lives merge into one. But for fusion of two lives into one, it is essential that they should obtain the seal of approval of the society. The girl who wants to become a wife without this seal of the society she is denied the rights of a life companion by the society....and then a story like `Adhikar is born. . Shyam and Radha met each other on a turning and parted leaving yearning for each other in their hearts. . Shyam was leaving for London for Business Management course. Shayms father, barrister Shukla wanted Shyam to be engaged to his frined Shiv Charan Sharmas daughter Meera and should wed her on return form abroad. He asked Shyam to call on Sharmaji with a view to approve the bride-to-be. But it wasnt Meera who welcomed Shyam in the house, it was Radha. Shyam mistook her to be the daughter of Sharmaji. He accepted her as his wife in his heart and returned without meeting Sharmaji. . Radha was baffled...But just the same in her heart of hearts, she started loving him. When Shyam invited Radha for a picnic, Radha coulnnt decline the invitation. Radha and Shyam met in Idyllic surroundings and accepted each other as wife and husband mentally as well as physically. Shyam left for London. . Radha soon discovered that she was to become a mother. She earnestly hoped that Shyam will accept her as legally wedded wife. . Shyam returned home but Radhas misfortune came in the way. Shyam was victim of gross misunderstanding about Radha. . Under pressure of his father, he had to marry Meera. . On the day of wedding, Radha came to know of this. She, on the face of it, thought it to be a mere misunderstanding. She wanted to stop this marriage in order to gain her rights but as the luck would have it the cermony was over when Radha arrived on the scene. Radha still held in her arms the eight days old Shyams child-the memento of their love. . In order to obtain the rights of the child, she left the child with a note in Meeras house and proceeded to end her useless life. . She was rescued by banne Khan Bhopali. While departing from her house Meeras mother told her "Husband is God to a woman. The wife ought to forgive all his short comings. Thats her duty". . Meera adhered to this advice to the letter. After receiving the child with the letter, she, on the first wedding night didnt charge her husband with any socia breech but told him that she was a mother of a child. Shyam on hearing this started hating Meera. Check out this page for more updates on Adhikar. 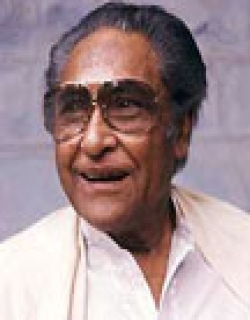 This page provides latest and updated information about Adhikar (1971) movie which released on Jan 01, 1971. Adhikar (1971) is directed by , produced by , starring .We have also provided 2 trailers and videos, 3 photos, 0 user reviews, and 0 critic reviews.You can review, like, dislike this movie and also can add to favorites. You can also find information on showtimes, CDs, DVDs, online rental, online free watching.